Our Terms and Conditions have been accepted by some of the world’s largest companies as we adhere to the strictest privacy and data protection guidelines. 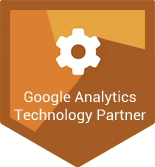 The handling of your Analytics data is governed by our Terms and Conditions, that you agree to, by using our services. These T&Cs have been designed with SEOs and web analysts (YOU!) in mind and are as strict on us as they can get.